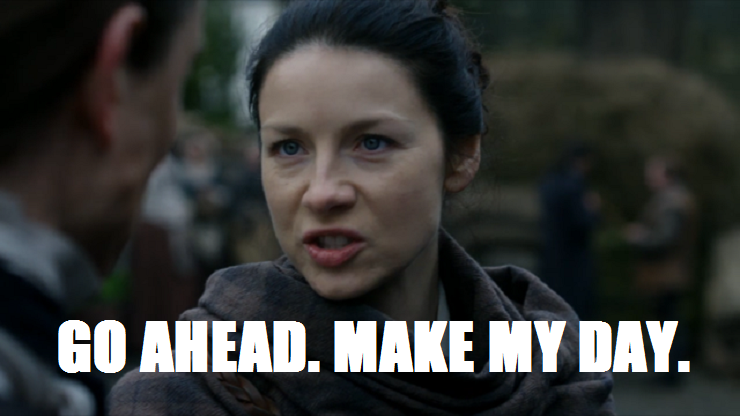 Friends, we only have one more episode to go before we’re faced with another bout of Droughtlander. I know, Jamie. I know. We can’t believe it either. Before we cling to the last 90 minutes of season 2, let’s not forget all of the amazingness that went down in Episode 212, “The Hail Mary.” We saw more of Murtaugh’s honor, more of Black Jack’s wickedness, and more phlegmy coughs than I ever care to see again. Here’s our latest batch of Outlander Superlatives. 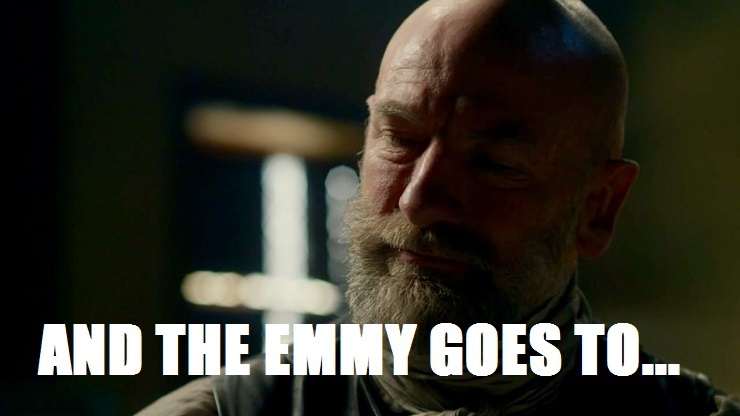 I’ve been saying since day one that Graham McTavish should win an Emmy for his performance as Dougal (remember when his friend Geordie died during the wild boar hunt?) because the depths of this character are never-ending. The tearful, emotional monologue he gave on Collum’s deathbed took him to a whole new level. Is this really the same guy who wanted to grind Claire’s corn and exploited Jamie’s scarred back for the Jacobite cause? HOW DOES HE MAKE ME FEEL SO MANY FEELINGS??? Guys. 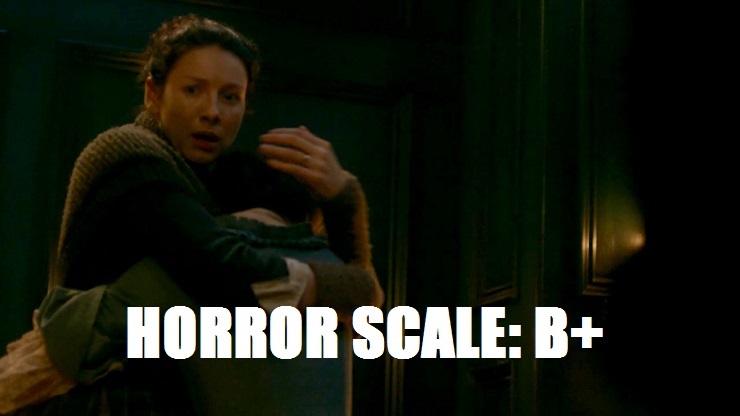 Everyone is dying on Outlander! This shouldn’t come as any surprise, as people have been offed all season—St. Germain, the Duke, Lieutenant Jeremy Foster, Angus, that other guy whose name I can never remember (Kincaid. Why can I never remember that? I shall continue calling him Matt. )—but somehow, losing Collum and Alex within minutes of each other was too much to handle. And now with Culloden on the horizon, I feel like death is just looming everywhere. Can’t everyone just go back through Craigh na Dun and find a new life in the 20th century? Things are a lot safer there. 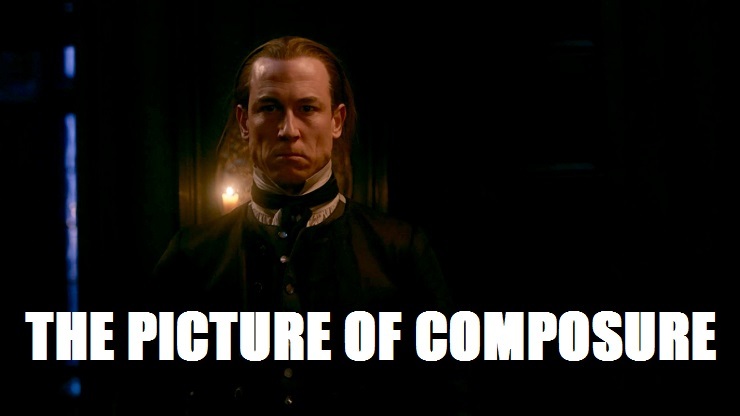 I know, it’s so hard to believe that BJR would have any kind of inappropriate reaction to anything. The guy is the picture of model behavior. But beating up your dead brother? That’s sick, even by BJR standards. I canna believe Claire and Mary had to witness it—although after having the head of the Duke of Sandringham placed at their feet, it’s probably not the most gruesome thing they’ve ever had to deal with. Do you see that little upturned lip and the sparkle in his eye? I do believe our man Murtaugh is SMILING. How could he not when talking about his precious godson Jamie? 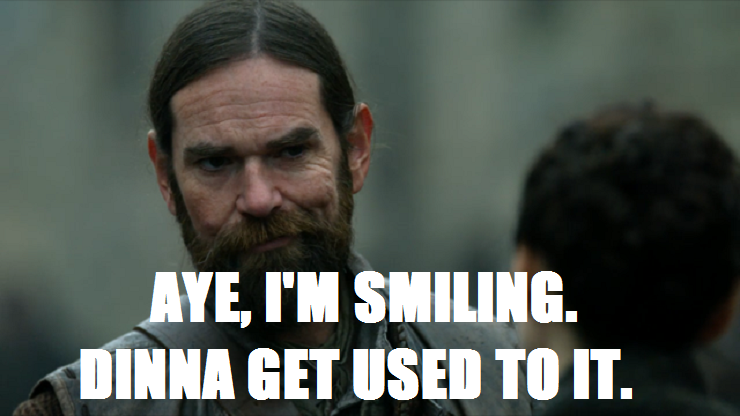 You go ahead and smile on, Murtaugh. That Jamie is a braw lad. If I were Claire, I would never, ever be able to speak to Black Jack Randall without gouging his eyes out and kicking him in his already damaged manhood. But clearly I’m not Claire because she has the presence of mind to tell BJR that she’ll help his brother only if he helps her with information about the redcoats. Daaaaaang, Claire! You’ve been living in the 18th century way too long. 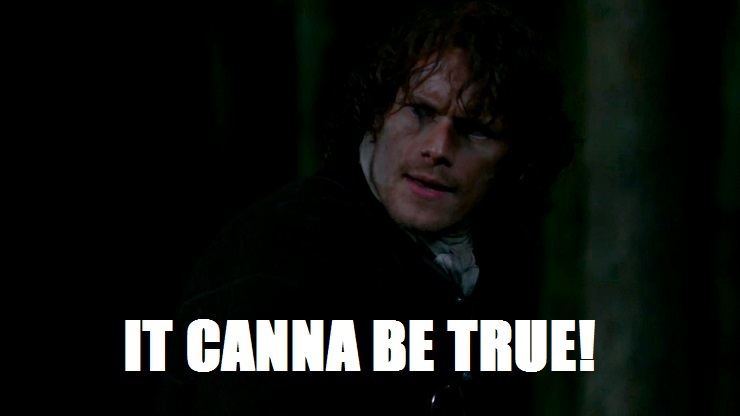 Let’s get real – she’d probably help Alex anyway because she’s Claire Fraser and she has to help everyone, but why not make Black Jack sweat when given the option? I can’t hate on that. 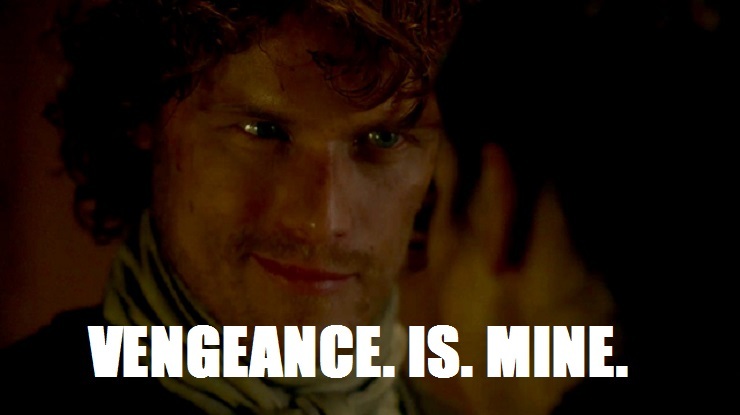 So, what do you think, Fraser fans? Did you have a favorite moment from Episode 212? Are you counting down the minutes until the finale? DO YOU HAVE YOUR TISSUES READY? I have the distinct feeling we’re going to need them. As usual, Steph, you have a cool, lighthearted way of describing some gruesome occourances. Your love for Outlander shines through with every word you write. Thanks for the great recaps of every episode! 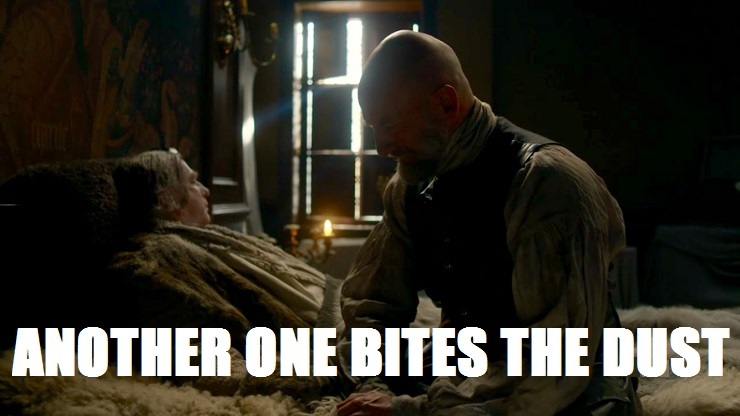 I, for one, look forward to every installment of “Outlander Superlatives”. I, too, love your recaps! I enjoy your playful manner and wittiness! You’re so funny! You should have your own TV show!! !